A former principal dancer of American Ballet Theatre, Irina Dvorovenko was born in Kiev, Ukraine, and began her ballet training at the Kiev Ballet School at the age of ten. She joined the National Opera Ballet of Kiev in 1990 as a soloist, rising to the rank of principal dancer in 1992. A dancer of infinite range, her repertoire with the National Opera Ballet included leading roles in many of the great classics: Gamzatti in La Bayadère; Kitri, the Queen of the Driads and Mercedes in Don Quixote; Giselle and Myrta in Giselle; Princess Aurora and Princess Florine in The Sleeping Beauty; Odette-Odile in Swan Lake; the Sugar Plum Fairy in The Nutcracker; and the title roles in Cinderella and Paquita. A former principal dancer of American Ballet Theatre, Maxim Beloserkovsky received his dance training at the Kiev Ballet Institute. In 1990 he danced as a leading soloist with the National Opera of Bulgaria where he remained for one year. From 1991 to 1994, he was a principal dancer with the National Opera Ballet of the Ukraine, and toured with them to numerous countries, including France, Germany, Spain, Hungary, Egypt, Japan, Mexico, Canada and the U.S. He performed most of the major roles in the classical repertory: the Prince and Bluebird in The Sleeping Beauty; Prince Siegfried and the Pas de Trois in Swan Lake; Albrecht in Giselle; Ferhad in Legend of Love; and the Pas de Deux from Le Corsaire, Don Quixote and La Sylphide. 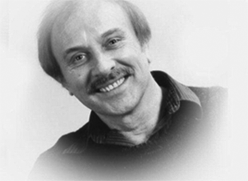 In 1993, Mr. Beloserkovsky was honored by the President of the Ukraine for outstanding artistic achievement. 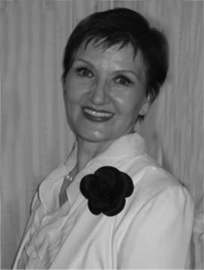 Olga Dvorovenko is a former principal dancer and ballet mistress for the Ukrainian State Academic Dance Ensemble. She was the Recipient of the Honored Artist Award of Ukraine, given by the President of Ukraine, has performed in practically every country of the world, including Canada, Spain, Portugal, France, Brasilia Colombia, Peru, Ecuador, Costa Rica, Hungary, Slovenia, Switzerland, Germany, Belgium and Luxembourg and has taught master classes in Canada and France. Graduated from the Kiev State Ballet School and State University of Art, where he went on to perform as Principal Dancer and traveled extensively with Virsky Ukrainian State Dance Company, as well as Veriovka Ukrainian National Dance Company and Yatran Ukrainian National Dance Company. 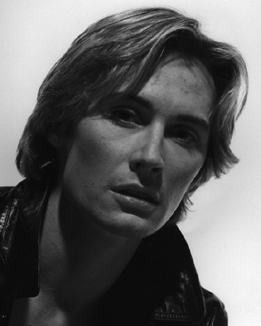 Joined the Paris Opera Ballet School in 1973 and became a member of the Paris Opera Ballet in 1979. She was quickly recognized internationally when she received the Varna Grand Prix (in the youth category) in 1980 at the International Ballet Competition in Bulgaria. Was raised in Cameroon and received her ballet training in West Africa. As a teenager, she studied at the Rosella Hightower Dance Center in the south of France. At 16, Karine saw the Alvin Ailey American Dance Theater perform in Paris and the experience set the course for her professional life.